Leading Exporter and Supplier of Heavy Duty Limit Switch such as Spring Return Roller Lever, Cable Glands, Mounting Plate, Limit Switches and Chute Block Devices from Pune. Enclosure: Cast Al. with Epoxy Powder Coating. Rating: 16 A Resistive at 440 VAC. Specifications as above : Output Contacts : 1 NO + 1 NC. Specifications as above : Output Contacts : 2 NO + 2 NC. Backed by rich industry experience, we are highly engaged in offering a wide array of Limit Switches in the market. Owing to its durable finish and easy installation features, the offered switch is highly required among our valuable clients. In compliance with the set industry rules, the provided product is well-designed and manufactured by highly experienced professionals. 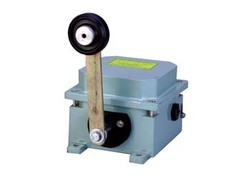 Moreover, our clients can avail this product from us at industry leading rates. 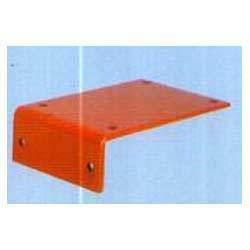 Our Company is engaged in offering a wide range of Mounting Plate in the industry. These products are well known in market for their best quality grade. We are also offering these products in required sizes as per the specifications given by our valuable customers. Offered products are manufactured using superior quality raw material by following norms and standards laid by the industry. Apart from this, we are offering these products at industry leading price. 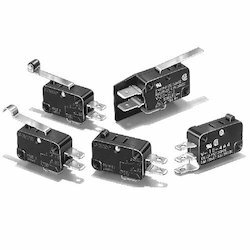 Looking for Heavy Duty Limit Switch ?